Clark Fork School provides a creative and personalized learning experience. We utilize inquiry-based learning designed to improve critical thinking skills and emphasize understanding. We focus on the interdisciplinary nature of learning grounded in real-world experiences. We support children with an environment that nurtures their emotional, cognitive, physical and social development. We believe every child is gifted and talented. Every child can be a successful learner. Our home and our community are the starting points for all learning. We ground lessons in topics that are important and valued in the students’ own lives. CFS provides meaningful learning experiences that generate knowledge and skills transferable to other places and situations. Our teachers help learners build a loving and respectful relationship with the world around them. Situated in the heart of the Rattlesnake Valley and surrounded by nature, Clark Fork School takes full advantage of the physical, mental, and social benefits that contact with the outdoors provides children. 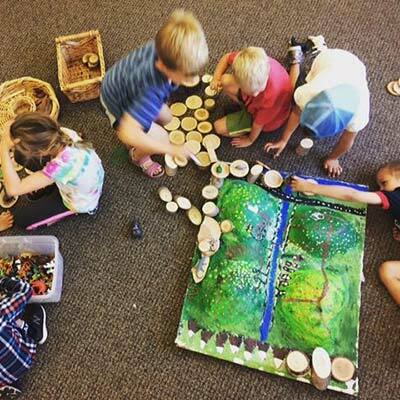 Our teachers mentor each child to establish a meaningful connection with the natural world. Clark Fork School is a parent cooperative with a low student-to-teacher ratio. We are a community where adults and children care for and support one another. We work through challenges together and learn to value our own role in the community. We focus on our strengths and take responsibility for our actions. Emotional awareness, positive communication, social growth and creative expression are nurtured in our close-knit community. Increased feelings of self-efficacy, self-worth, and self-confidence. Decreased depression, anxiety, concentration difficulties, hyperactivity, and risk of substance abuse. Improved physical fitness and a positive body image. Research shows children’s stress levels fall within minutes of seeing green spaces. 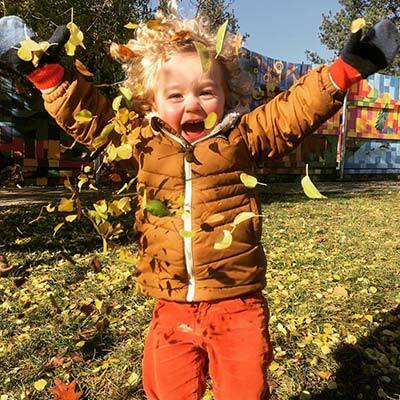 Unstructured outdoor play has been shown to protect children’s emotional development and to enhance their social interactions. Direct interaction with nature has been shown to increase children’s scores on tests of concentration, creativity and self-discipline. Research shows that environmental, place-based education improves students’ academic performance and school satisfaction.